Hopped twice with crazy amounts of Citra, Idaho-7 and t’n’t this IPA has great mouthfeel, low bitterness, and huge aroma. A orange-citrus hop note hits first at a medium high level. This is mixed with a lesser dank character. As it warms, the fruit note becomes more complex with some grapefruit and papaya notes. A low sweet aroma is also present, with a grainy malt character. There is a touch of BO as well. Pours a dark straw, light orange liquid. 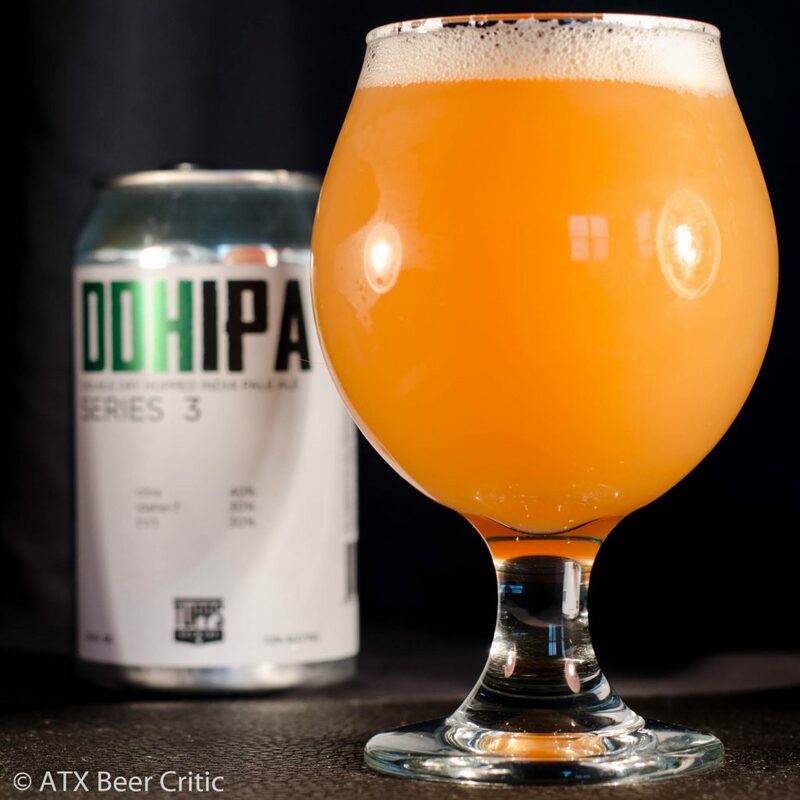 A strong haze makes this beer opaque, but still bright in color. Fine and small white bubbles create a think dense head. Retention is above average with a thick lacing persisting on the glass. 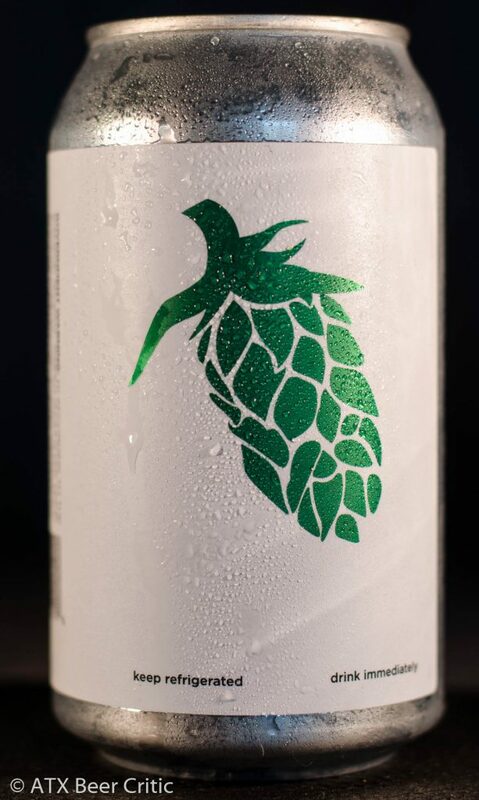 Grapefruit and citrus hop flavor at a medium-high level. A resin and dank character fills in the midtaste. There’s a touch of grain and maybe honey-like malt character. Towards the finish, a moderate-high bitterness appears that has almost a pithy sensation. On the finish, the flavors softly dissipate, leaving behind a slight bitterness. Balance is heavily towards hops and bitterness over malt and sweetness. No noticeable off flavors. Medium-high bodied. A very soft pillowiness at first, but it seems to die as the bitterness comes in towards the end of the taste. Some alcohol warmth on the finish, in the back of the mouth. Carbonation is medium, and as it clears, the drinkability improves. Low astringency. A great showcase of American hops. This IPA is enjoyable, but could benefit from some minor tweaks to push it over the edge. My main issue is the bitterness comes in a little too intensely on the finish. If it was toned down a little, and the pithy astringency was dimished this would be close to a world-class example. 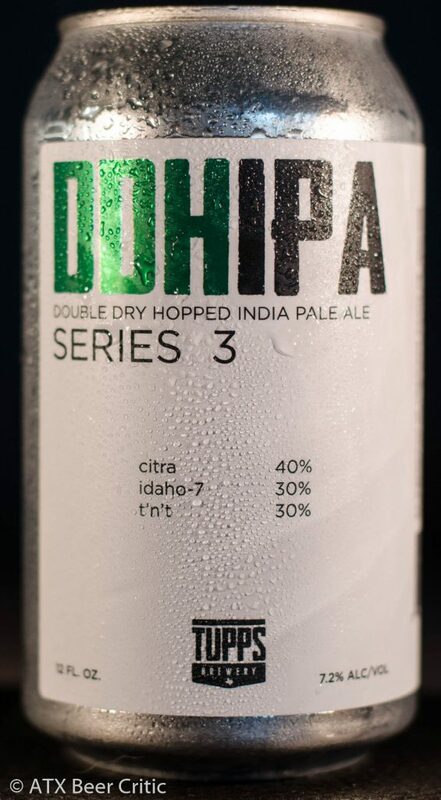 I really enjoyed this IPA, but not as much as their Series 2 which I had on draft, or their normal IPA. 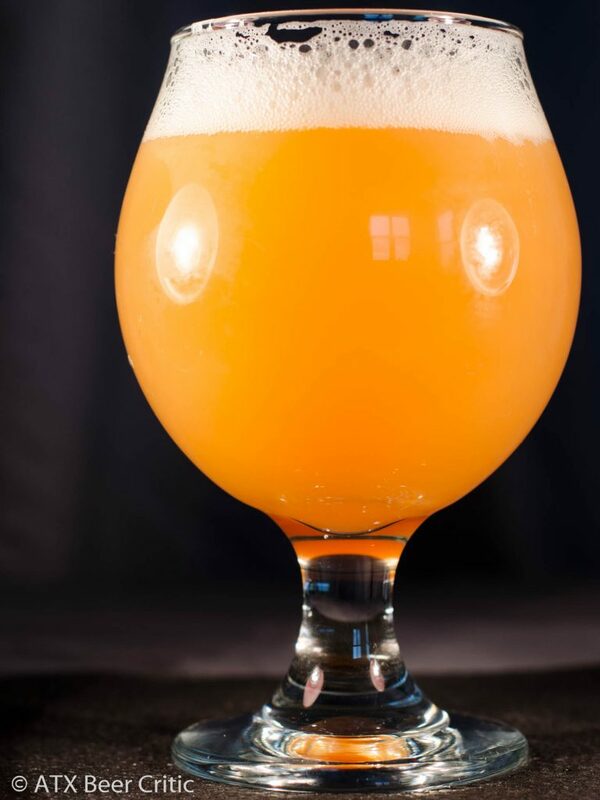 It’s an intresting mix of West Coast and New England IPA styles, hitting pretty close to offerings you’d find at Pinthouse or Southern Heights. Tupps has really hit the ground running since I first tried them at TCBF 2017. I’m excited to try other styles from them.